Global reach via local impact: IEEE SIGHT’s story of contributing to the development sector. In 2012, when the IEEE SIGHT was started, we encouraged engineers to identify local problems to solve with their peers and by partnering with the community. We saw great interest among our IEEE members, who connected together locally, to form SIGHT groups all around the world. Several activities and projects are undertaken each year and as a result, several people are introduced to the benefits of technology, sometimes as basic as electricity, transportation, communication, and education. We learned from our experience, that delivering sustainable solutions to the underserved communities is very challenging. There are multiple factors that make this process challenging – affordability, usability, education and ownership beyond our intervention, local cultural context, and limited resources are only a few. Many of these challenges are not technical and are beyond our trained areas of expertise as engineers. Therefore, it is important for us, the technology for development enthusiasts, to approach this discipline of sustainable solution development process with the same rigor that we put in to become skilled engineers. Kartik Kulkarni is a Senior Member of Technical Staff at Oracle Corporation’s Data and In-Memory Technology Group. He is a primary contributor to the Oracle In-memory Database, which was launched by Oracle CEO Larry Ellison at Open World 2013, San Francisco. He develops memory-hardware aware algorithms (patents pending) to enable scale-out, and high availability of data. Kartik did his Masters from Carnegie Mellon University (CMU) in Electrical and Computer Engineering; He is an alumnus of CMU’s Parallel Data Lab, where his research was on scaling metadata performance of cluster file systems. He did his BE from B.V.Bhoomaraddi College (BVBCET) Hubli, India in Electronics and Communication. Kartik chairs the IEEE Special Interest Groups on Humanitarian Technology (SIGHT) Steering Committee. SIGHT is a growing community of 80+ groups of engineers in 29 countries and 5 Societies, working on solving community problems using technology solutions. In 2015, this community engaged 1700+ engineers benefiting 20,000+ people through projects and activities in the areas such as education, energy, health, and assistive technologies. Kartik was recognized as a 2015 USA’s New Face of Engineering by DiscoverE Foundation. 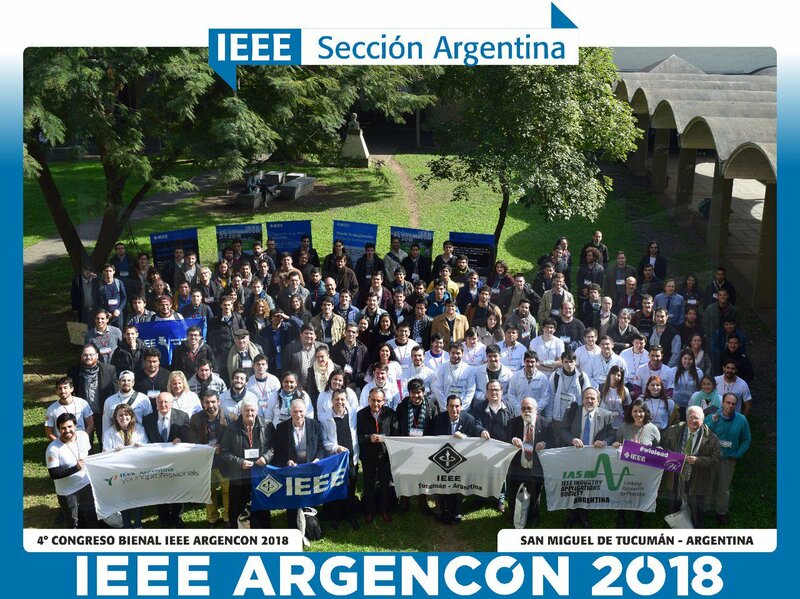 Kartik believes that IEEE, being the community of 450,000+ Engineers in 160+ countries, can be a strong global taskforce of volunteers committed to championing technology solutions for development and solving community problems. This taskforce if oriented and channeled could produce local community leaders in important efforts such as activism, awareness, advocacy, and deployment of technology based solutions. Miércoles 15, 9:00hs. Aula Magna. Universidad Tecnológica Nacional – Facultad Regional Buenos Aires. Buenos Aires, Argentina. Wensday 15, 9:00hs. Aula Magna. Universidad Tecnológica Nacional – Facultad Regional Buenos Aires. Buenos Aires, Argentina.